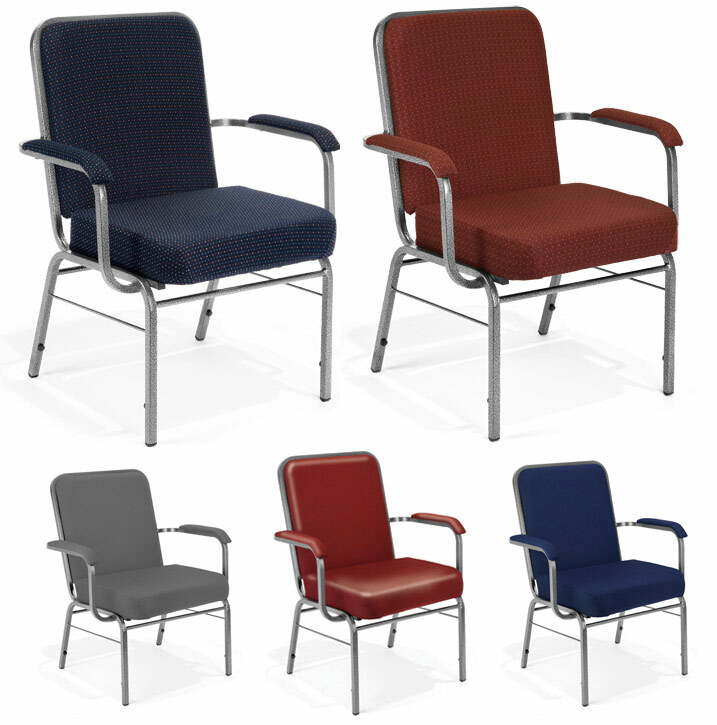 OFM’s Comfort Class Big and Tall Stacking Arm Chair is designed to accommodate congregations, auditoriums, meeting rooms, or anywhere people gather. This traditional stack chair with 500 lb. weight capacity has a silver-vein finish and steel frame make this an elegant yet durable chair. 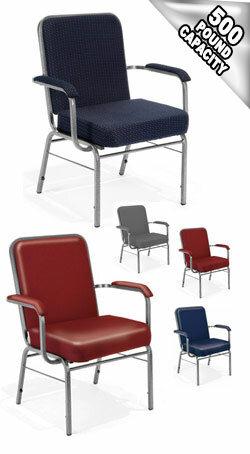 Choose fabric upholstery for church or office settings or select anti-microbial vinyl for medical waiting rooms. Chairs stack 4 high for easy storage. No assembly required!